Trumka, an avid hunter and fisher, says corporate interests will again seek to exploit the issue of gun ownership this year, hoping to distract gun-owning voters from real issues like jobs, health care and retirement security. This election is too important to let distortions and falsehood affect it, Trumka says. It’s not corporate issues seeking to exploit this. Am I a corporate interest? 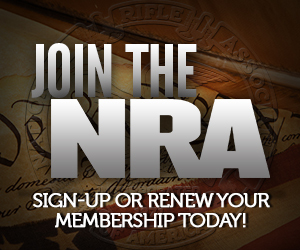 Are NRA’s 4 million members corporate interests? No. You can’t hide from Obama’s record. Union members need to be aware of their leadership attempting to pull the wool over their eyes this election in hopes they’ll be good little union members, and pull the lever for the O-man. Let’s hope the union folks are smarter than their leadership gives them credit for come November. “Trumka says . . . ‘corporate interests’ will again seek to exploit . . .” “Corporate interests” will “seek to exploit”!Ooooo! Talk about Labor Movement cliches: where is Joe Hill when we really need him? Trumka and the Unions seem to be stuck in the 1930s, and on stupid. Has it not been shown that union organizational charts parallel those of any large corporation – including compensation packages for executives? Is it not obvious that the unions are in the pocket of the Democrat Party – a relationship that, again, harkens back to the 1930s? The leadership of both the Labor Movement and the African-America community were long ago co-opted by the Democrats. Their evermore tenuous grasp on power is mutually dependent. Evidence of the decline in union influence is provided by the Democrat support of the “card count” system which does away with the secret ballot in union elections. “Corporate interests”(read “Republicans”) are “seeking to exploit . . .”(read “opress”) the working people (read “the proletariat”). Puh – leez! Cue Pete Seeger belting out IWW anthems. Just another thug in the democrat stream of things. He’s as much in touch with an average union member as the Chief of Police of LA or NY is in touch with the beat-walkers.